Micah is from Helena/Pelham, AL. He graduated from Pelham High in 2006, and he graduated from the University of Montevallo in 2010 with his degree in Music Education. While at Montevallo, Micah taught private lessons in guitar at the Community School of Music, which was very fulfilling for him as an educator. After moving to south Alabama with Brittany, he taught special needs students at a variety of ages and abilities, while furthering his education through graduate school at Kent State. Currently, Micah teaches private lessons, String Beans, Junior and Senior Guitar Ensembles, Orchestra, and Jazz Band! Brittany is a Cullman, Alabama, native. However, she moved away as a teenager and graduated from Southside High School in Gadsden, Alabama, in 2005. Brittany attended college at the University of Montevallo and graduated first in her class in 2011 with a Bachelor of Music Education degree. After graduation, Brittany accepted a position as the K-12 music teacher and band director for Kinston School in south Alabama. While in that position for two years, she reinstated the music program that had been on hiatus for over a decade, including the marching band program, concert band program, elementary music program, and various other arts classes. Currently, Brittany teaches preschool and elementary music classes, Junior Orchestra, and assists with the Senior Orchestra. 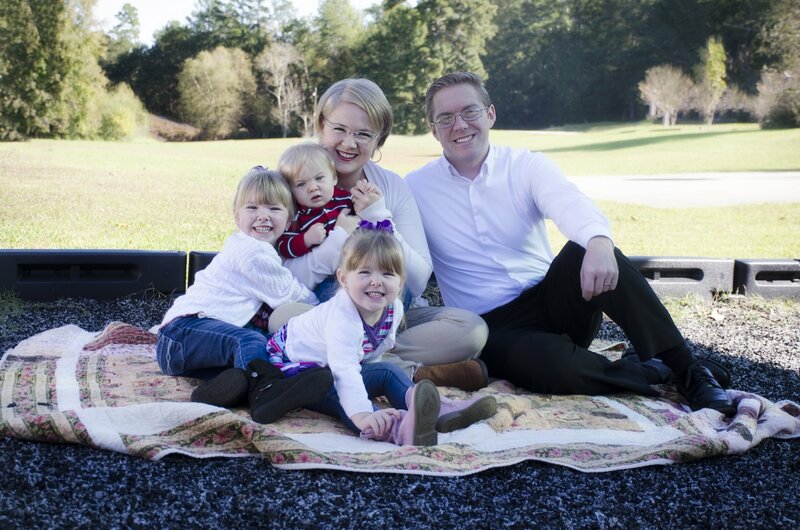 Micah and Brittany have been married for 7 years and have three beautiful children: Lydia, Hannah, and Adam. They also have 2 rotten hound dogs, Clementine and Maili. They currently reside in Cullman.